Watering: The most important aspect of taking care of a bonsai is watering. While watering requirements vary by species, the KEY is to make sure the tree never completely dries out. Generally you need to water trees when the surface soil looks dry. Evergreens in the winter require far less watering than in the summer (once a week compared to daily). When watering, water thoroughly and soak completely by setting the pot in a pan of water for 10 minutes If kept indoors, also try to mist frequently. Pruning: Pruning is the act of trimming the bonsai into a pleasing shape. Prune flowering bonsai after they bloom and evergreens when they are in need. Root pruning should occur only once a year. Feel free to stop in and we will be happy to teach you how to do either! Lighting: Different Bonsai have very different lighting requirements. All trees need some form of sunlight to grow, so keep that in mind during placement. Evergreens should remain outside during the growing season, but are sustainable by a south-facing window after wintering. Fertilization: Fertilization of most trees should be restricted to the growing season. 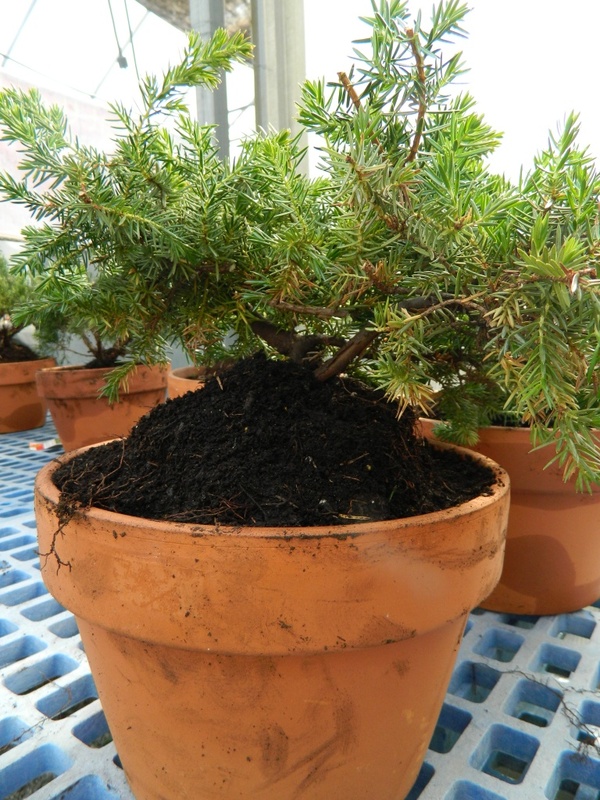 We use Ed’s Exclusives Fertilizer on all our Bonsai! Evergreens can be fertilized from spring until early winter.